Heat oven to 375°F. Spray 15x10-inch cookie sheet or round pizza pan with cooking spray. 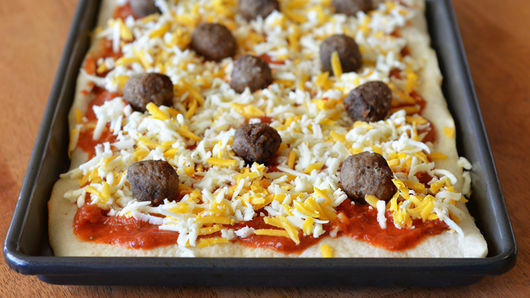 Unroll dough onto cookie sheet or in pan; press to form rectangle or fill pizza pan. Sprinkle garlic powder evenly over dough. Bake 8 minutes or until light golden brown. Remove from oven. 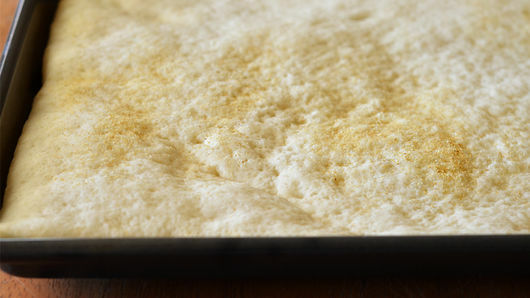 Carefully spread pizza sauce over partially baked crust. Sprinkle cheese evenly over sauce. 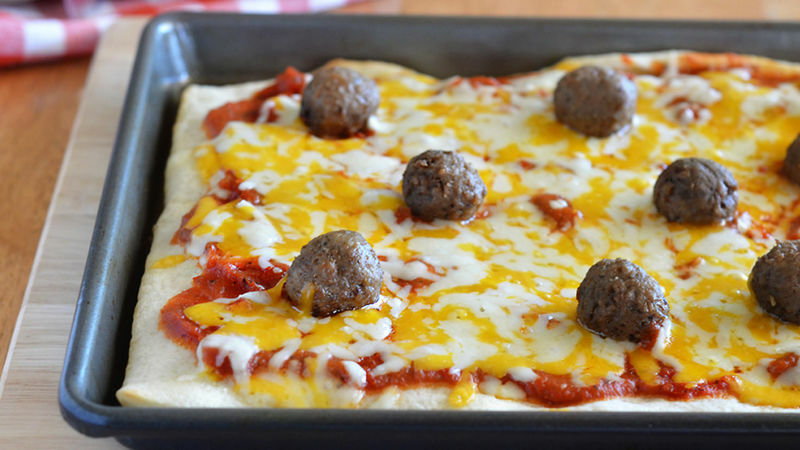 Top with meatballs, arranging evenly on pizza. Bake 8 to 10 minutes or until cheese is melted and crust is golden brown. Try using any kid-friendly cheese—mozzarella or Cheddar cheese alone.